RAPAPORT... LVMH Moët Hennessy Louis Vuitton saw a jump in jewelry and watch sales in the first quarter, led by a strong performance at Bulgari. Revenue for the category increased 9% to EUR 1.05 billion ($1.18 billion) for the three months ending March 31, with advancements in all geographic regions, it said Wednesday. The company noted a “buoyant environment” for luxury products at the start of the year. 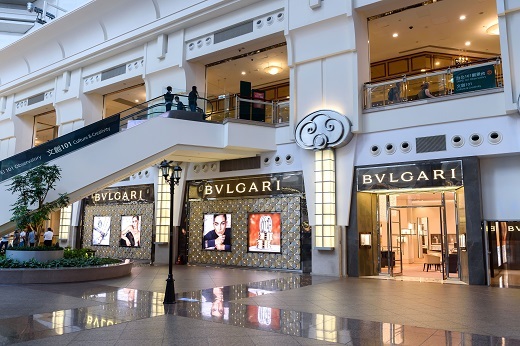 Bulgari’s long-term lines spearheaded its growth, with Serpenti, Divas’ Dream, Lucea and the brand’s new Fiorever collection all showing improvements. Watches were well received at the Baselworld exhibition, the luxury jeweler said. Those included products from the Hublot, Bulgari, TAG Heuer and Zenith labels. A pop-up store in Paris, which the company opened while its Place Vendôme location was undergoing renovations, also did well, LVMH noted. Group sales for the first quarter — including jewelry, wines and spirits, fashion, and cosmetics — grew 16% to EUR 12.54 billion ($14.14 billion). Shares in LVMH rose 4% Thursday morning following the announcement.